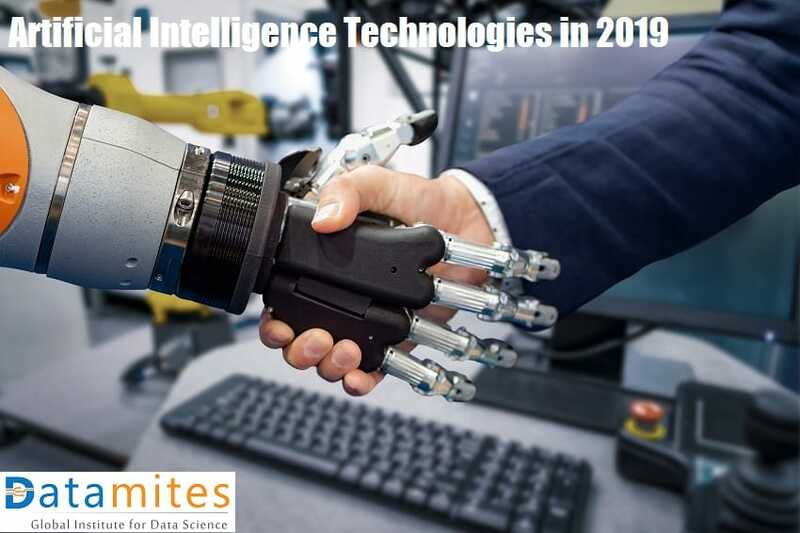 Isn’t it true that we are living in a digitalized world that has eliminated tons of human work by positioning automation?. In fact, it is the most defined period as Google’s self-driving car has been invented. But, this period is not in its final stages instead is multiplying to create many more awesome things to surface in the near future. Supervised learning is similar to a teacher teaching his students with examples and after sufficient practice, the teacher stops supervising and let the students derive at their own solution. In supervised learning there will be two variables, one variable X, represents the input variable whereas the second variable Y, represents the output variable. 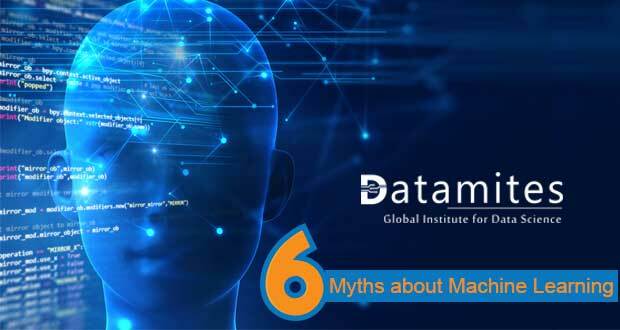 They are interconnected through a mapping function Y= f(X) and the goal here is to reach the state in which the algorithm generates the output variable Y at the desired level of accuracy from the input data X after sufficient training. 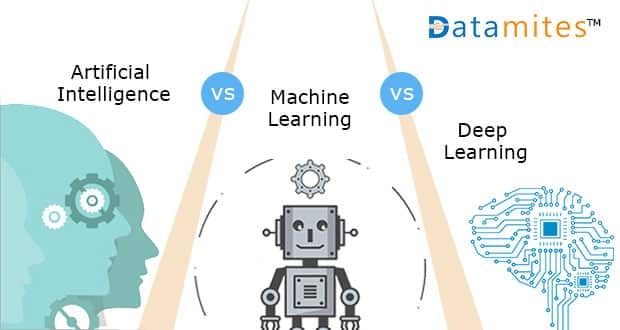 Examples of Supervised Learning are Regression, Random Forest, Decision Tree, Logistic Regression etc. 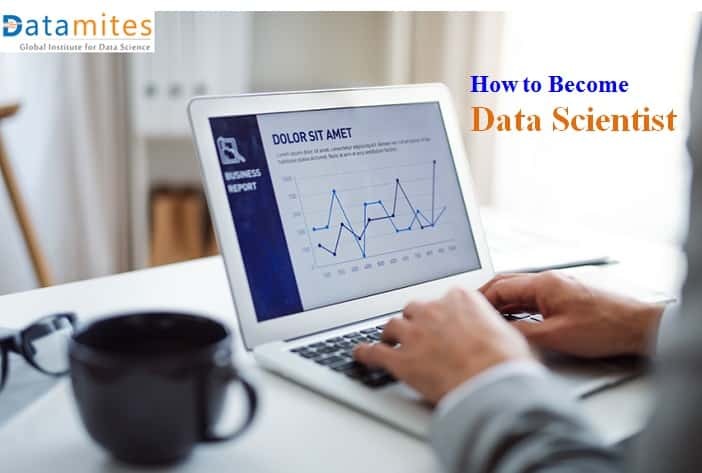 With no target outcome Y, and only with the input variable X when an algorithm determines the data patterns of its own then it is called Unsupervised learning. Unlike Supervised Learning, there is going to be no teacher nor the correct answers here. 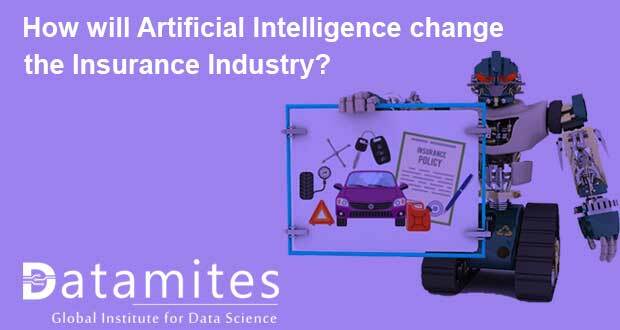 Algorithms are left to their own devices to derive and present an interesting structure in the data. Similar to human methods where they observe the degree of similarity between objects to figure out events from the same class. Examples of Unsupervised Learning are Clustering, K-means, Apriori algorithm, Association Rules, etc. When we look at above two algorithms, it is clear that either all labels are present in the observations or with no labels at all. We pick a scenario wherein labels are present in few of the observations but are absent the majority of them. In this case, it demands high cost skilled human experts to make the job done. To solve the above problem, Semi-Supervised algorithms are the best option to do the model building. When the algorithm is presented with examples that lack labels then Reinforcement Learning takes place. More like trial and error method, the algorithms must make decisions that bear their own consequences. Reinforcement learning algorithm is actually learning continuously from the environment in an iterative way. Examples of Reinforcement Learning: Q-Learning, Deep Adversarial Networks, Temporal Difference, etc. 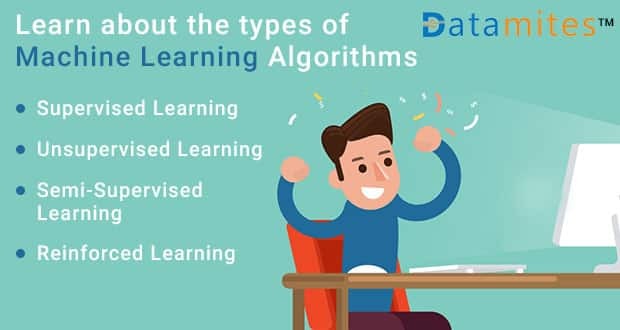 The ideas of different types of Algorithms that we have discussed here would have simplified your journey towards Machine Learning concepts. 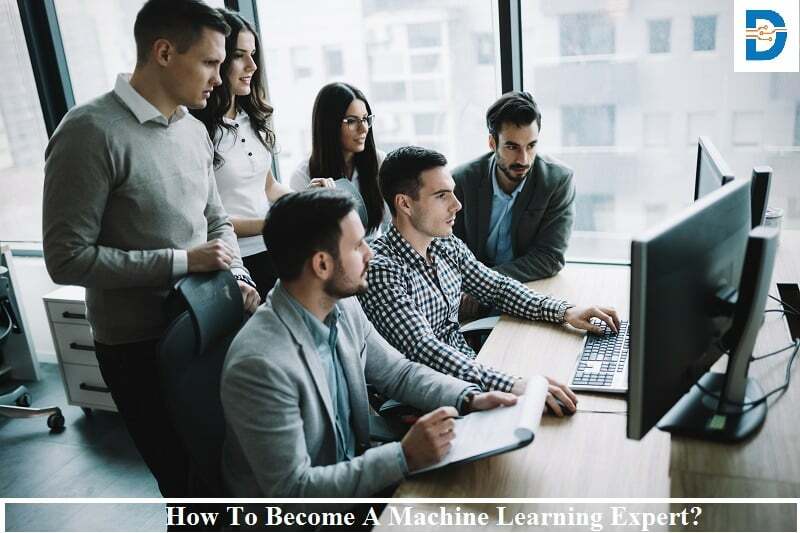 As a Machine Learning enthusiastic, if you are looking for a statistical understanding of algorithms and want to equip yourself to start building a machine learning project then you need an intensive training to achieve the same. 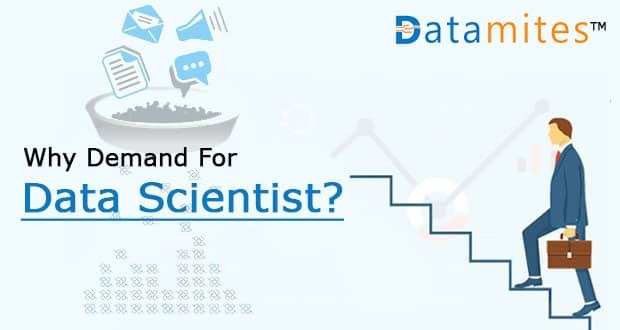 Datamites™ is a renowned training institute, accredited by International Association of Business Analytics Certification ( IABAC™), providing a case study based training for mastering Machine Learning for Data Science, along with IABAC™ certification – Certified Data Science Developer (CDSD). 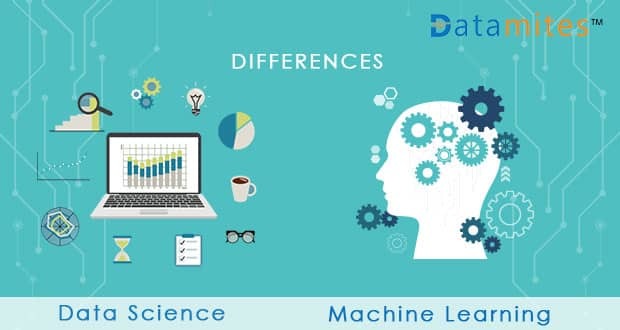 Get in touch with DataMites™ to know more details about the Machine Learning training, pricing, and schedules. Previous: R Vs Python – Which One Is The Best?